Only Robert Altman, the great American maverick, could turn an English country house mystery into an ambitious, naturalistic study of the class system with a cast of sixteen leading actors. 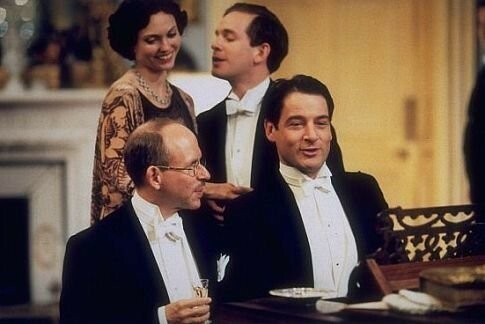 Rich with period detail and full of Altman’s trademark roving camera and overlapping dialogue, Gosford Park sits in the upper echelons of this director’s work, alongside Nashville and Short Cuts. 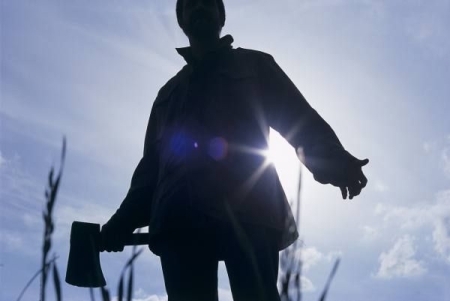 By the end, the murder mystery element seems secondary to the social commentary and impressive characterisations. All the performances delight, particularly Alan Bates in one of his last roles as the lofty head butler hiding a shameful secret. 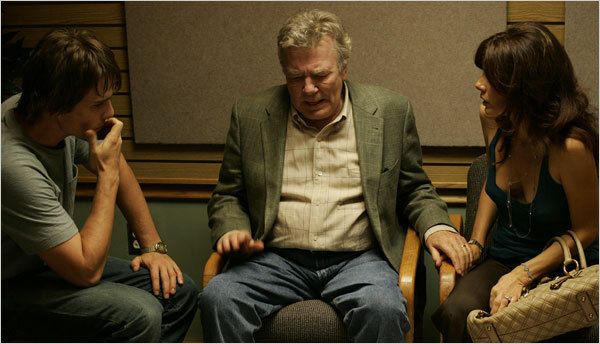 Also highly recommended is A Prairie Home Companion, Altman’s final film released just before his death in 2006. 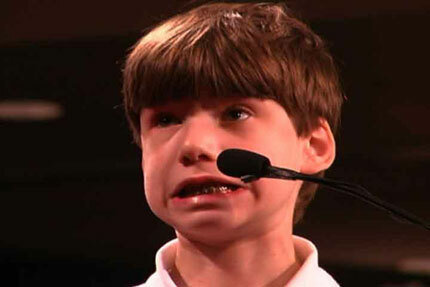 A documentary about participants in the National Spelling Bee may sound like a quirky novelty for a debut feature, but Jeffrey Blitz turns the event into a charmingly insightful study of a diverse society. The film focuses on eight very different families, covering children as varied as Angela from a Mexican family in rural Texas, Emily from a wealthy horse-riding Connecticut family, and April from a low-income Pennsylvanian family looking to better themselves. Through these families, the contest becomes something of a metaphor for the American dream, where socioeconomic status won’t stop high achievers reaching the top – especially if they can spell Iogorrhea correctly. D-E-L-I-G-H-T-F-U-L. Delightful. Previously best known for his lavish acclaimed dramas Raise The Red Lantern (1991) and The Story of Qui Ju (1992), Zhang Yimou marked the first part of the decade by making two hugely popular wuxia films – Hero (2002) and House Of Flying Daggers – the latter being the best martial arts film of the last ten years. 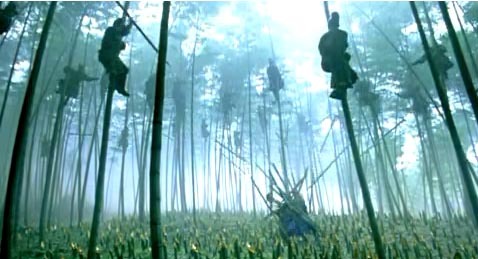 As romantic as it is dramatic, the action sequences are simply breathtaking and, typical of Yimou, the whole film looks incredibly sumptuous, especially the remarkable bamboo forest sequence bathed in vibrant green. The final epic confrontation stretches from the rich reds and yellows of autumn to the dazzling white of a wintry snow blizzard. Stunning. 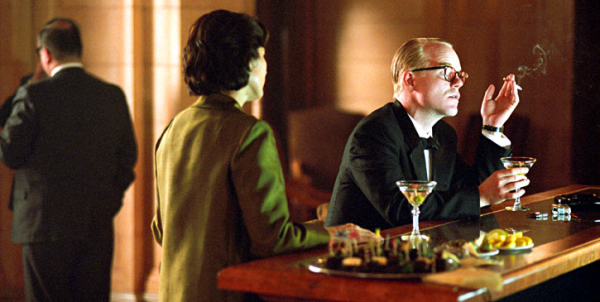 Every now and then an actor gets a role so perfect they could have been born to play it, such is the case with Phillip Seymour Hoffman’s portrayal of Truman Capote, which rightly won him the Best Actor Oscar. Subtle and underplayed, the film focuses on Capote’s interviews with two suspected murderers during the writing of his acclaimed non-fiction crime novel In Cold Blood. As Capote develops an emotional attachment to one of the prisoners, the conflicting role of the writer is brought into question – that of someone molding a creative document whilst confronting moral implications and breaches of trust. A remarkably assured first feature from Bennett Miller. The explosive music scene of Manchester from the late 1970’s to the early 1990’s is brilliantly captured in all it’s anarchy by the great hope of British filmmaking, Michael Winterbottom. Ostensibly seen through the eyes and anecdotes of the great Factory Records head Tony Wilson (here portrayed by Steve Coogan, lending a suitable Alan Partridge-esque culture-clashing to the role), 24 Hour Party People is a heady concoction of real events, rumours, urban legends and a heavy dose of artistic licence. Not just a film for those who love the music, this is a fictional document of a wild and creative era which reveals far more about the times than any regular documentary could. 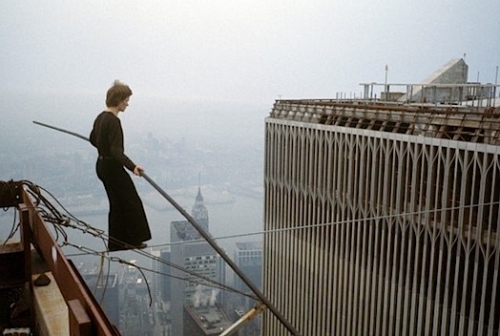 A documentary framed as a heist movie, Man On Wire recounts the incredible feat of high wire artist Phillipe Petit, who shocked onlookers by walking on a wire between New York’s twin towers in 1974. Combining jaw-dropping archive footage and photographs with present-day interviews and dramatic reenactments, James Marsh succeeds in presenting a non-fiction story as exciting as any fictional thriller – one which would seem unbelievable were the events not originally captured on film. Lars Von Trier returns to the themes of Breaking The Waves and Dancer In The Dark – that of the hardships of women abused by society but who ultimately discover a higher level of well-being – but he finds another unique method of presenting these themes in Dogville. The action takes place on a minimalist studio stage, with white lines on the floor representing walls and the barest of furniture and props. The story concerns Grace (Nicole Kidman), a woman on the run from gangsters, who finds refuge in the town of Dogville, but has to endure harsh physical labour in return for her safety. The experimental staging is highly successful, stripping the story of all distracting artifice and focusing attention on the dramatic parable. The biblical allusions are heightened by the story being split into nine titled chapters and the excellent narration from John Hurt adds serious gravitas to proceedings. Highly recommended. “Hello I’m Terry Gilliam and I’ve a confession to make – many of you are not going to like this film.” In his introduction to Tideland, the director pleas for understanding from the viewer, explaining that the naivety and innocence of a child’s mind could be seen as shocking and unnerving. 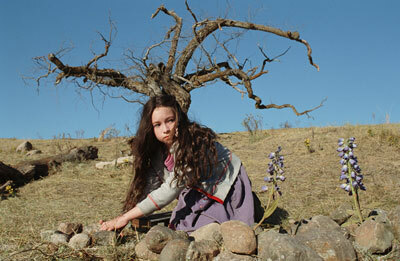 Jeff Bridges collaborates for the first time since The Fisher King (1992) as the has-been rock ‘n’ roll father of Jeliza-Rose (Jodelle Ferland), a girl with a darkly vivid imagination. This is purest, untapped Gilliam, free of studio interference and compromise, but instead dangerously unrestricted in letting his brain run riot. The result if often very dark, very funny and very Terry. A polarizing film for sure, but an essential one for all those willing to fully embrace the skewed mind of Gilliam. Only from being followed by the likes of Finding Nemo, The Incredibles, Wall-E and Up, could a film as wonderful as Monsters, Inc. end up as a neglected picture, but such was the creative gold rush of the Pixar studio this decade. 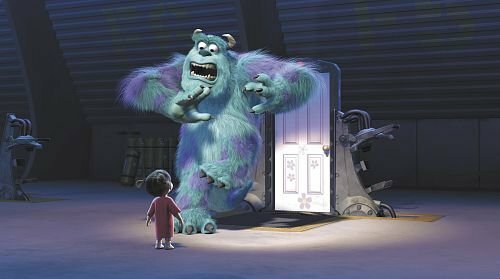 Much was made of Sulley’s brilliantly tangible blue fur but Pixar, and indeed Disney, know better than to hang a film on technical advances alone. The story is fast, funny and endlessly inventive and the vocal work of John Goodman and Billy Crystal is just perfect, as is the music of Randy Newman. Incredibly, it was beaten to the Best Animated Film Oscar by the totally charmless and unfunny Shrek, which dates like a dodgy pair of flared trousers with each passing year. 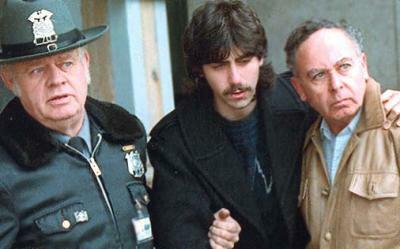 Whilst Spellbound presented a generally upbeat take on the American way of life, Capturing The Friedmans revealed an altogether darker and stranger truth at the heart of the American family. Initially starting the project as a fairly innocuous documentary about children’s party entertainers, filming took a dramatic twist when director Andrew Jarecki discovered that both the brother and father of one of his participants, New York clown David Friedman, had been convicted of child abuse. What begins to unfold is a story where things are far from clear-cut, with Rashomon-style contradictions of truth, leading viewers to question almost every turn of events. Strangely compelling. This is not a 100 best films of the decade, or a 100 most important or influential films. That kind of list would have to be drawn from a huge collation of lists covering wide areas of film. Naturally I can’t claim to have seen the definitive 100 best films of the decade, but I have seen hundreds of films from the last 10 years, many of which have disappointed me – although I credit myself for avoiding films I’m pretty sure I’d hate on the assumption that sitting through them would be a worse experience than unknowingly missing out on a possible masterpiece. That’s you I’m looking at, Transformers. Or rather, not looking at. The best I can do is offer 100 films which I consider to be essential viewing for anyone with a robust interest in cinema and the medium’s many possibilities. These are the 100 films which have touched, astonished or hooked me to the point of obsession. It’s a very personal list, filled with the directors, writers and actors I love. For a decade largely dominated in the mainstream by CGI-laden blockbusters, super-hero films and gross-out comedies, I’m happy to announce that my list features none of these selections. The nearest for consideration were the excellent but overrated The Dark Knight, which fell just outside my 100, and The Lord Of The Rings trilogy, which was certainly a staggering achievement but ultimately too drawn-out and self-aggrandizing for my liking. In his 50th year as a filmmaker and at the grand age of 83, Sidney Lumet made this mesmerizing thriller about two brothers botched robbery of their own parents jewellery store. Told with a non-linear, multi-angled structure, the tension is cranked up as the inept robbers become increasingly desperate in their attempts to cover their tracks. Another gem to add to Lumet’s incredible back catalogue and a first-rate cast of Phillip Seymour Hoffman, Ethan Hawke and Albert Finney into the bargain! 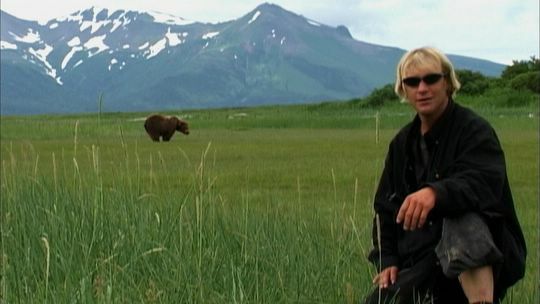 Always a filmmaker exploring the crazy limits of human endeavor, it’s no wonder Werner Herzog took the story of bear enthusiast Timothy Treadwell to heart. Treadwell spent 13 summers with the wild bears of Alaska until he and his girlfriend were killed and eaten by one in 2003. Herzog narrates in his own intense style, weaving together recovered footage from Treadwell’s own video camera with interviews from his family and friends to paint the portrait of man eventually destroyed by his own dangerous obsession. For those not sufficiently weirded-out by Mulholland Dr, David Lynch offers Inland Empire, a 3 hour assault on the senses, blurring the lines between fiction and reality on the Hollywood backlot. 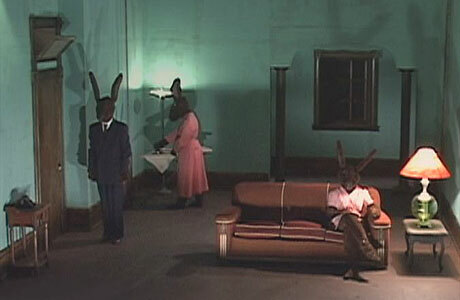 Shot entirely on digital video, Inland Empire still retains the eerie aesthetic that is totally unique to Lynch. 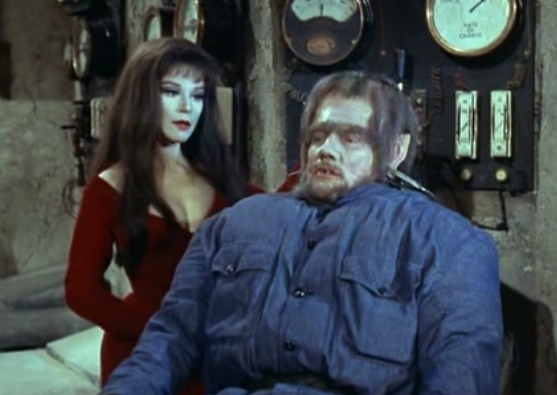 This is probably his strangest film, which is really saying something, and it certainly won’t win over any new fans. But more fool them – the cinema of David Lynch is as good as it gets and the stranger the better. 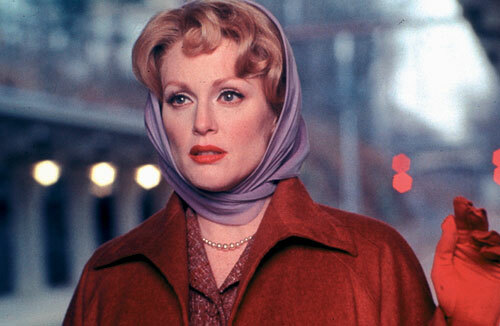 I had already immersed myself into the world of Douglas Sirk before seeing Far From Heaven, so it’s difficult to say how I would view the film had I not been aware of the debt owed to its source material. The sumptuous autumn colours, rousing score and near-melodramtic performances perfectly evoke Imitation Of Life and, in particular, All That Heaven Allows. But Haynes delves deeper into the themes of racism and homosexuality which Sirk could only use as subtext in the 1950’s, making this uniquely a period piece for the 21st century. And Julianne Moore can do no wrong in my book. One of the great underrated thrillers of our time, Dirty Pretty Things submerges itself into the desperate world of immigrant workers, who live on the expendable peripheries of society. Chiwetel Ejiofor (in a startling screen debut) and Audrey Tautou (riding high from Amélie but proving her great range) are excellent as the mismatched pair of immigrants who plan to sell a kidney in exchange for passports. 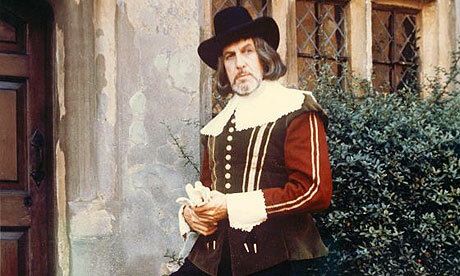 Stephen Frears continues to prove himself as a director of great insight and energy. Wrongly rejected by critics who were perhaps expecting another film as ambitious as Fight Club, this home-invasion thriller is a tightly controlled excercise in isolated terror. Made on a huge studio set à la Rear Window and with plenty of Hitchcock touches, Fincher adds his own unique flourishes with seemingly impossible tracking shots. Panic Room is Fincher’s taut study in suspense and a small masterpiece compared to his bloated Benjamin Button. “At the dawn of the millennium, the nation collapsed. At fifteen percent unemployment, ten million were out of work. 800,000 students boycotted school. The adults lost confidence, and fearing the youth, eventually passed the Millennium Educational Reform Act—AKA: The BR Act…” And so the scene is set for every bitter teachers revenge fantasy. Takeshi Kitano plays the wronged teacher who masterminds the ultimate youth challenge scheme, where a group of schoolchildren must fight to the death on an isolated island. A fantastically violent and controversial sci-fi thriller, this is Lord Of The Flies with detonating neck collars and submachine guns. A Christopher Guest comedy is always something to celebrate and A Mighty Wind just pips For Your Consideration as his comedy of the decade. 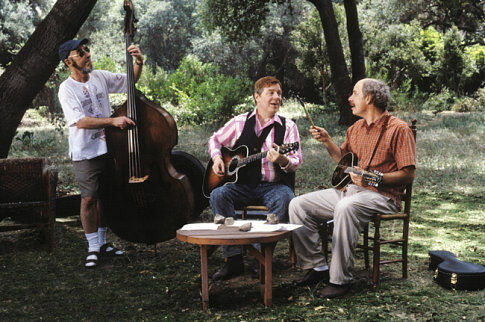 Almost a folk riposte to Spinal Tap, here Christopher Guest, Michael McKean and Harry Shearer are legendary trio The Folksmen, preparing for a reunion concert. The song parodies are spot on and remain brilliant in and of themsleves. As always, the supporting cast of Catherine O’Hara, Eugene Levy, Fred Willard, Bob Balaban and Parker Posey are exceptional. Something of a godsend to 21st century British cinema, Shane Meadows makes uncompromising films deeply rooted in the neglected underbelly of society. His films are often powerful character studies in the best tradition of the British social-realism scene, but his best film is this unflinching thriller with a style which creeps up on its audience and eventually strangles them into shocked admission. Paddy Considine has a commanding presence as the paratrooper returning to avenge the death of his disabled brother. The Peak District has never looked so fascinatingly sinister. 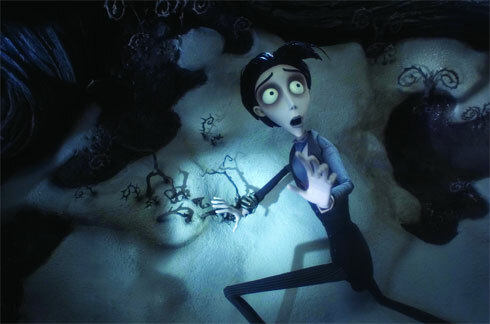 Another dark romance from the mind of Tim Burton, lovingly rendered in excellent stop-motion. This has all the hallmarks of classic Burton – wildly comic, weirdly poignant and fully embracing his love for 19th century gothic horror. Although it’s not amongst his very best work, (that would be Edward Scissorhands, Ed Wood, Big Fish and Sweeney Todd for my money) Corpse Bride is almost a greatest hits package that can’t fail to delight any Burton fan: Danny Elfman once more provides songs and score, most of the Nightmare Before Christmas crew return, Michael Gough and Christopher Lee add vocal support and, of course, Johnny Depp takes the lead. The saturated blue colours lend a haunting beauty to a world populated by gaunt, rotund and skeletal grotesques. For those weary of certain all-too-saccharine animated films, Corpse Bride is the perfect macabre antidote.